"I was born near Tacoma, Washington, but grew up in the Northern California area, spending my formative years in Sacramento where I attended El Camino High School and American River College. A naturalist at heart, I studied forestry and wildlife technology. I've held many positions over the years, but worked as an administrator and planner for the state of California for most of my working life. I now work for a local newspaper in Fairfield. 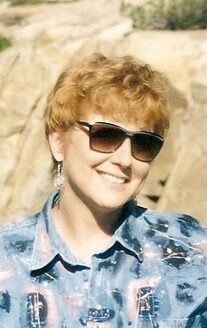 I live with my husband in the northern California town of Vacaville, midway between the Sacramento and San Francisco. I share my home with five cats (all rescues) and an upstart Shih-tsu named Gus whose only concern is getting his dinner on time. I'm an avid horse enthusiast and anti-slaughter advocate, and have owned many horses throughout my life. In addition to publishing two self-help books, I've written numerous short stories, articles, children’s picture books, and poetry. I am a member of the Society of Children’s Book Writers and Illustrators, Solano County's Writers Resource Center, and the Northern California Publishers and Authors. I am currently working on a novel tentatively titled The Last Conquistador. It's a mystical, coming-of-age novel featuring Parker Ullyses Penneworth, a sixteen year old boy in search of his courage. The story is set in the Arizona desert. Yes, there's a horse in it! I write in the morning as I'm a 'lark' as opposed to an 'owl.' I'm usually up early and spend about 4 hours at the computer. I admit, writing can be real work sometimes, but I love the creative process, especially when my characters start telling me what they want to do! I listen to music as I write. I love all kinds of music, from classic to rock. Mozart, Tchaikovsky, Rod Stewart, Frank Sinatra, Allen Jackson, and the Rolling Stones, are all in my library. But I also love great Spanish guitar and have a special love for the Spanish culture and history. Maybe its because I live in California, formerly a part of Mexico. Another area of interest is Native American culture, particularly the Hopi and those tribes of the Southwest. I was extremely fortunate to have visited the Hopi reservation in 2004, which was the inspiration for the novel I am currently working on." Sheila is the author of a young adult novel, Desperado Moon.